It is sometimes said that death comes in threes, and the weekend before Christmas 2011 saw a striking trio of public figures meet their ends. 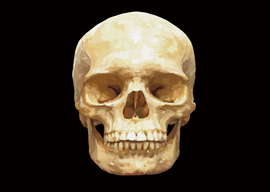 Either due to a strange cosmic alignment or our creator’s bravado display of quirky humor, the past weekend’s three deaths present a baffling mix of character studies. If there’s a case to be made that God—if there is a God—has a wicked sense of humor, one need look no further than the fact that he decided to strike down two such notable examples of a worthwhile human life—and a worthless one—on the same weekend. Based purely on my own biases, I’ve decided to organize this trio of the recently deceased into the always dependable categories of good, bad, and ugly. Depending on your political, religious, or cultural perspective, you may be inclined to rearrange my categories. Apart from a few cranks in cyberspace, it’s difficult to imagine that many would bear any ill will toward one of Europe’s most seminal figures of the past century. His name commands almost universal admiration and respect, and his CV reads like it was designed to land him a place between Gandhi and MLK in the secular-saint sweepstakes: Leader of the Velvet Revolution. Father of pro-democracy movements in the dark days of Central European totalitarianism. Prisoner of conscience. Playwright. Nonviolent political agitator. He may also be the only man in memory who could lay claim to having both discussed literature with the likes of Milan Kundera and Philip Roth and partied with Keith Richards and Mick Jagger—all while helping to bring down communism. 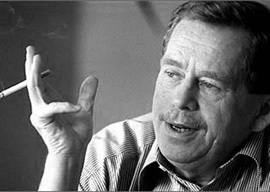 Havel was nothing so drab as a saint—he was a dude. He was also remarkably selfless, insofar as it’s possible for any man in public life. He recommended Aung San Suu Kyi for the Nobel Prize at a time when he might have won it himself. He organized a petition of writers in defense of Kundera when the author was facing accusations of being a commie informant—this, in spite of the well-documented disagreements between the two men. I affectionately recall some footage I saw on BBC years ago. Havel comes onto the presidential palace’s balcony to greet a cheering throng with his tousled hair, a Rolling Stones tongue-logo T-shirt, and a cigarette dangling from his mouth. In striking contrast to every military-jacket-festooned-with-medals blowhard ever to stand on a balcony and wave at their constituents, Havel yawned, gave a curt-but-friendly wave, and walked back inside with a shrug that said, “That’s all very well, but I’ve got a chick waiting in here, so could you keep the noise down a bit?” He reminded me of Groucho Marx as the Freedonian president in Duck Soup and may be the only major world leader in history who usually looked as if he’d just rolled out of bed. He changed the world but was resolutely unpretentious while doing it.